Spring and bunnies and chocolate are in the air! This weekend we have two Easter egg hunts to attend and brunch with some family friends. 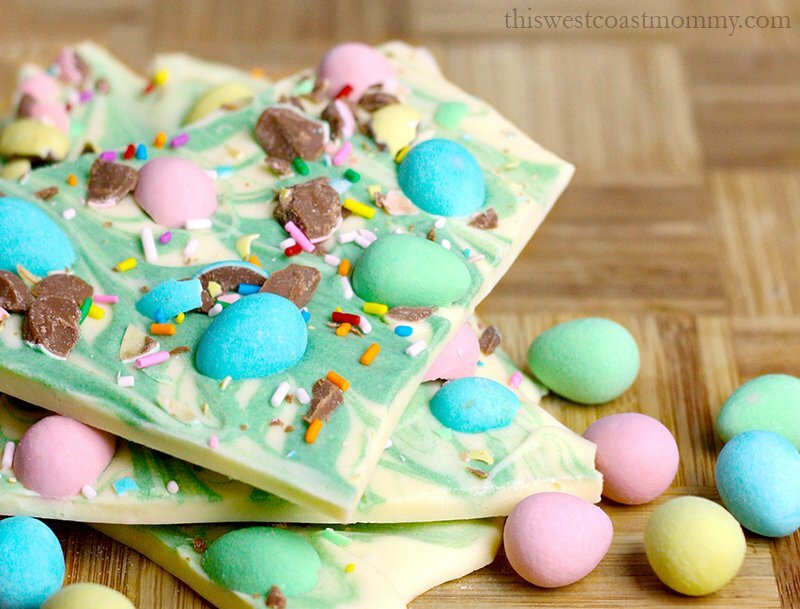 I wanted to bring a little something with us when visiting, so I made this pretty pastel Easter mini egg chocolate bark last night. Chocolate bark is one of those treats that you can make with pretty much any ingredients you have around: candy, dried fruit, nuts, seeds, pretzels… the sky’s the limit! 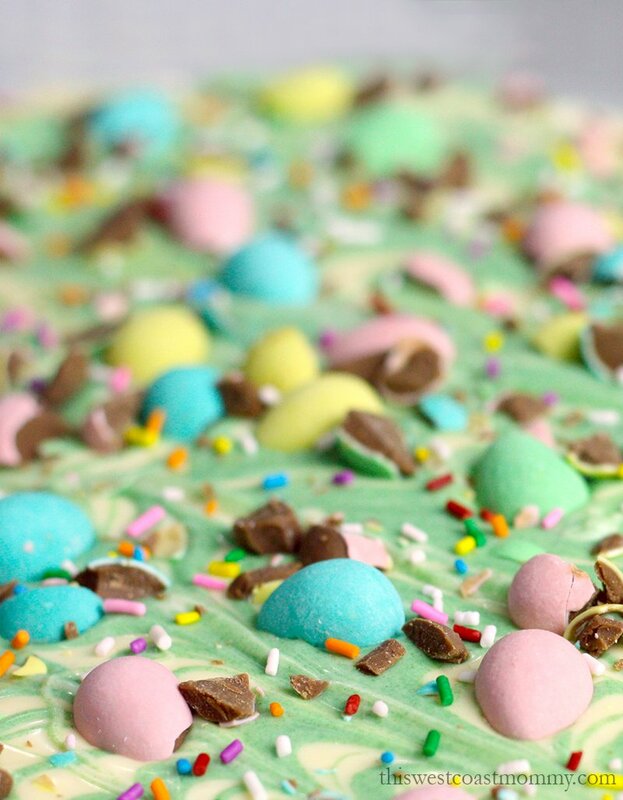 For this chocolate bark, I only used three ingredients – white chocolate, green colouring, and mini eggs (because Easter of course!). 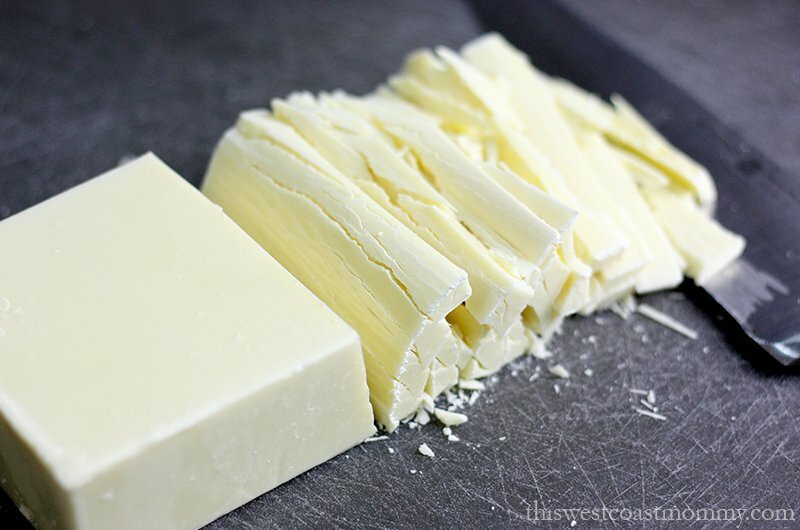 I already had a a 485 gram (about 1 pound) block of Callebaut white chocolate in my pantry, so that’s what I used. You can buy white chocolate in ready made small discs designed for even melting, but since mine was a big block I cut it up first. While I had my big knife out, I also cut a generous handful of mini eggs in half and crushed up a few more for sprinkling. I know you’re technically supposed to use a double boiler and a candy thermometer to carefully melt the chocolate, but honestly I’ve always done just fine with my microwave. I put the chopped chocolate into a glass bowl and popped it in the microwave oven for 20 seconds at a time on medium-high heat (power level 7 on my microwave). Between bursts of heat I took the bowl out and stirred the chocolate. White chocolate scorches easier than dark, so once the chocolate was mostly melted, I took it out and stirred until the last pieces of chocolate gradually melted into the liquid. Once the chocolate was completely melted and smooth, I poured it onto a cookie sheet lined with parchment paper and spread it out evenly with a soft rubber spatula. I kept back a bit of melted chocolate (maybe a quarter cup or so) and added green colouring until it was the shade I wanted. Remember that adding water to chocolate will make it seize, so use an oil-based or powder colour. Once I had my green chocolate, I drizzled it onto the still melty white chocolate and used a chopstick to drag the two colours together for a marbled effect. I was originally going for a grassy look and I’m not sure that really came through, but either way it ended up a pretty and Easter appropriate pastel background for my mini eggs. I placed each mini egg half, sprinkled on some crushed up mini eggs, then threw on some rainbow sprinkles for good measure. When I was done with the toppings, I put the cookie sheet in the fridge for 30 minutes or so to harden so it had a satisfying snap when I broke it into pieces suitable for wrapping up in cellophane or packing in a nice box for gifting this weekend. 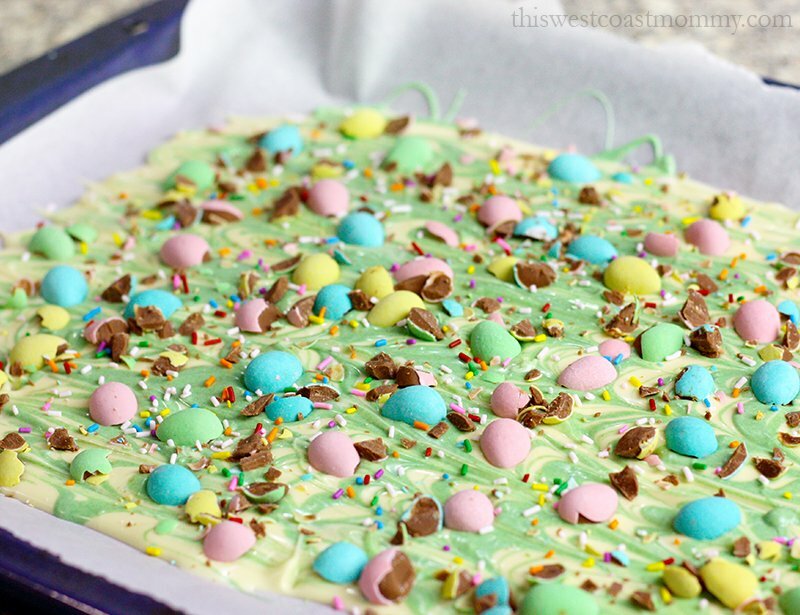 I love all the colours in this Easter mini egg chocolate bark. I hope our hosts enjoy it too! Cut mini eggs in half and roughly chop 7 or 8 into smaller pieces. Immediately colour the reserved chocolate to the desired shade of green. Drizzle green chocolate over still liquid white chocolate and gently drag a chopstick through to marble the colours together. Gently place mini egg halves in chocolate and sprinkle chopped egg pieces on top. Add optional sprinkles or other decorations. 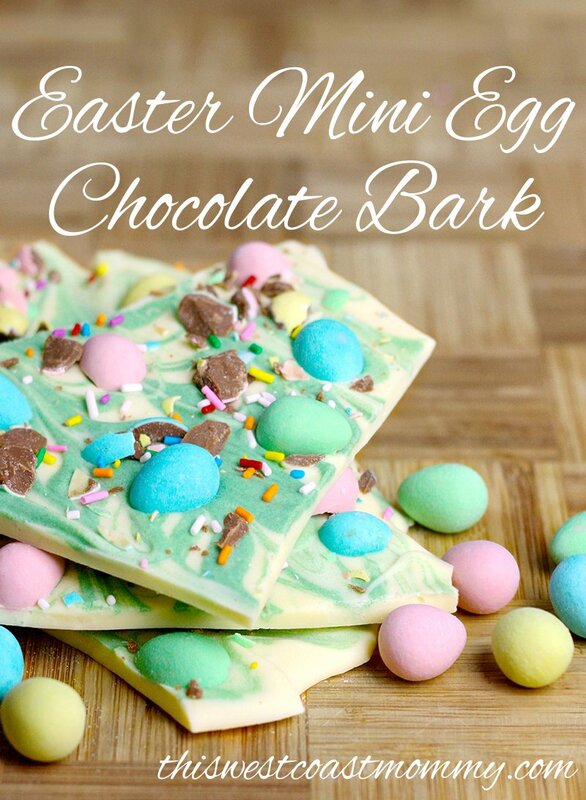 Your Easter Mini Egg Chocolate Bark looks so delicious! I like the idea of being able to make it up ahead of time, wrapping it up, & gifting it to friends & family at Easter. The bark sounds so easy to make even I can make it! Yay! Pinned it so I can find the recipe later. Thanks for sharing! Oh that looks so good. Easter colors are pretty too. I love making seasonal bark – different treats for different holidays! It’s like a beautiful landscape…. Very charming! I love water and white chocolate. This is a perfect treat for me. I wish I’d seen this at Easter! I’ve pinned it though, so pretty. I’m really not a white chocolate fan but this is just so gorgeous that I want to make it for gifts… I’m also thinking that I might make one for my family with a regular chocolate base and then a thin layer of the white on top with mint. 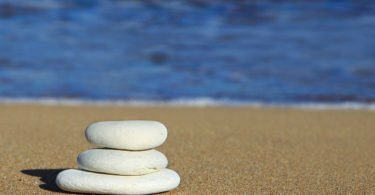 Can a person flavour white chocolate? Would this work? This is so fun and cute for Easter! I am totally trying this and already have some ideas for Halloween and Christmas! Thanks for the inspiration! What a beautiful result from this recipe! I’m going to give it a try! I would have loved to have this Easter morning when I was little!